This is a follow up to the story that begins here. When I was about 13 I stood on the side of the bridge that crosses over a lagoon near where I live. Down below in the water were some of my school friends who were splashing around, laughing and calling out to me to "JUMP SONIA JUMP". I wanted to, like really badly wanted to. With one hand holding on to the railing and one foot still planted to the edge, I leaned out dangling the other foot. My heart was racing a million miles an hour and the noise of the blood pumping echoed in my head. My chest almost hurt from the force of the adrenalin pumping through my body and my stomach churned with nerves and anxiety. "COME ON SONIA, JUMP" they continued to call. They had done it, the world didn't come to a stand still when they jumped and they were all OK, surely that meant I would be alright too? I turned around and climbed back over the railing to the safety of the bridge above. I have always played it safe. I have encouraged others to take wild chances, to throw caution to the wind and chase their dreams and yet I gave all my encouragement from the safety of my position on the side of the bridge. By nature, I am not a big risk taker. I don't like gambling and I don't like tempting fate. I'm superstitious and I believe in signs, in fact I search for those signs and wait for them to arrive and tell me that what I am doing is the right thing. Today I did something so completely out of my nature. Something so huge that as I write this I am shaking and quite possibly will fall over at any moment with shock. I jumped off that bridge. Not literally THAT bridge, but the bridge I have been standing on for the past 20 years. I let go of the railing and I leaped without knowing if the water was really deep enough to break my fall. 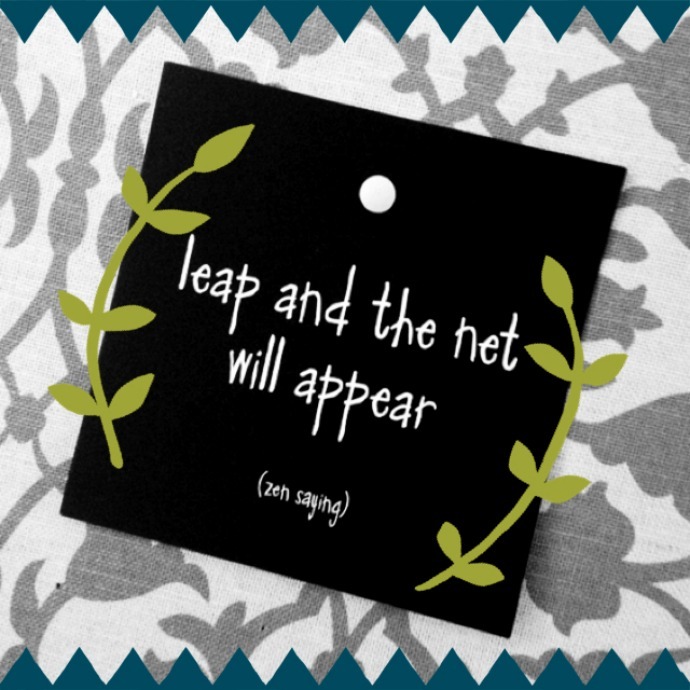 I have gambled everything I have come to know on the hope that if I just jump, the net will magically appear. Today I listened to the voices inside my head that said "JUMP SONIA JUMP" and so I did. I quit my job and thus brought to an end a career I have invested my life into for the past 20 years. Was the water deep enough and did the net appear? Well the water was deep enough to break my fall. I survived the jump and not surprisingly the world didn't even flinch when I made that humongous leap. And I am sitting here in one piece, completely in shock although at the same time I am surprisingly calm. I have ideas, plans and I have loads of dreams, which I will share with you in time. But for now all I want to do is sit here on my couch, sip on the strong drink my husband just made me, catch my breath and wait for a sign that will confirm that jumping was indeed the right thing for me to do. Are you a jumper or do you prefer the safety of the bridge?